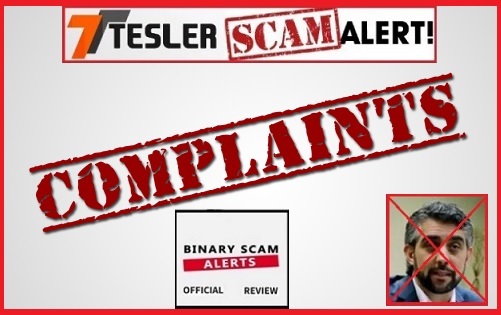 The Tesler App is a confirmed blacklisted SCAM! There is no denying this since we have already published two revealing and factual-based reviews in regards to this fraudulent software by Steven Abrahams CEO of Tesler Investments. This fake trading robot wreaks of foul play and insidiousness. Ample evidence has been provided in our previous investigations to validate these claims. However, we are now trying to deal with the aftermath caused by this extremely misleading and deceptive auto-trader. So, instead of explaining why it is so dangerous and how it steals money, we simply decided to gather some of the complaints we have received and display them in the most simple and transparent manner. For those of you who have fallen victim to this latest financial scam, we urge you to stop trading and file a detailed scam report in the top menu on our website. Keep reading to see how the Tesler App affiliates and Abrahams the actor are lining their coffers with stolen money. Patrick please help me. The Tesler people never sent me the software login details. Do you know how to reach these people, they never answer emails? 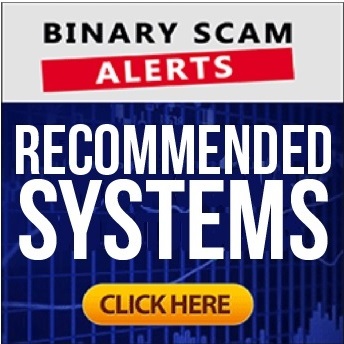 I registered and Tesler linked me to some scam broker named binary banc. I was really upset but decided to try my luck anyways. needless to say the money was lost and all they want to talk about is re-investing. What a greedy fool I have been! I lost three times 250 Euros in a week with Tesler App. I got OneTwoTrade as broker. Can someone please explain why this happened, I am really upset. 750 Euros in a week.. is it possible that this broker manipulated the signals or the trades? someone please help me 🙁 i lost money! This Tesler software is a scam?!! I have only won four trades out of 15. The auto trade feature is worthless! I hope they enjoy my money and their family eats good tonight! Once bitten twice shy!!! Hi Pat, I have used this Tesler trading robot believing as it to be genuine. Unfortunately it turned out its not true what Abrahams is saying. I put $250 but lost everything. It has a %57 loss, so I just gave up because I couldn’t afford to lose more money. Please do not believe them its a lie. Is there any suggestion you have for trading with Tesler App to get the better accuracy levels?I have been trading for five days now and the overall performance is horrible. The Tesler App is an automated trading robot which was developed by Abrahams. It’s is presented to is as a software that generates “life-changing” profits for new traders just now getting started for the first time. Abrahams claims they charge a 0.5% commission on all money cashed out and that’s how they make their money. In essence, these testimonials indicate a very clear pattern of deception and malice prompted by greed. These con artists are very skilled at enticing new and unsuspecting traders, and this is the real edge, not lead patterns and hyper responsive data. For good alternatives and access to consistent money-making machines, please check out our recommended section. The Tesler App is a dangerous new blacklisted SCAM. We have validated these facts and our findings indicate a very clear pattern of deception. While conducting our investigation we noticed something very peculiar. The actors in this video never look at anyone directly into their eyes. This further validates the fact that the actors know they are cheating and can’t look at each other’s eyes. This is very telling and provides additional circumstantial evidence of foul play. In short, stay away from this fraudulent app and seek alternative sources of income. Check out our Facebook Group and YouTube Channel and catch up on the latest scam reviews.